Jon C. Ainbinder was born and reared in a Jewish home. His father was a successful shopping center developer. 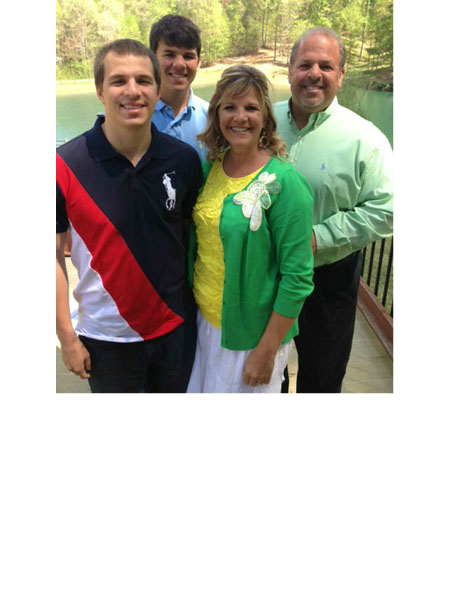 While living in Chattanooga, Tennessee, unknown to his parents, Jon made a personal commitment to Jesus Christ. Naturally, they were surprised and upset, especially since Jon was only 12 years old. They advised that he take the time to learn more about his own religion before changing to another. To that end, he was encouraged to abstain from further Christian activities and commitments. However, Jon’s devotion was so strong that after the passage of some time, his parents became convinced of his sincerity and accepted his decision. Their mutual love was strong enough to withstand this test. Upon graduation from high school, Jon went to college in Durango, Colorado. There he became involved in a good church. He was called to preach while attending this church. Jon made plans to enroll in a Bible college to prepare for the ministry, but his parents did not want him to go. After several months, Jon realized that he must honor his parents and do whatever they wanted him to do. He told his parents that even though he felt the Lord wanted him to become a preacher, he was willing to not go to Bible college if he could not go with their permission. After his parents saw Jon’s sincerity and desire to honor them, they agreed to let him pursue his calling. Jon attended Bible college in Florida and graduated in 1986. Jon and his wife, Mary Beth have two sons, Jonathan and Jared, and they live near Athens, Georgia. Jon’s philosophy of evangelism is that he wants to treat the church in the same manner that he wants others to treat his wife. The church is a bride, too.